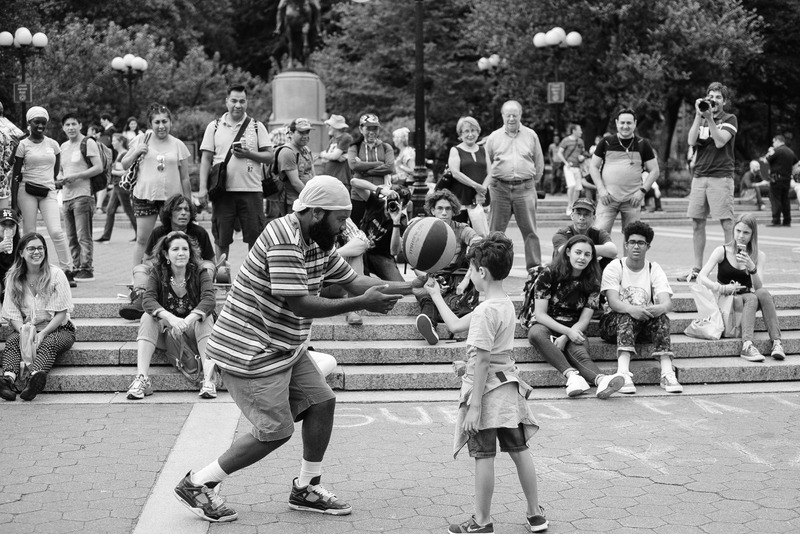 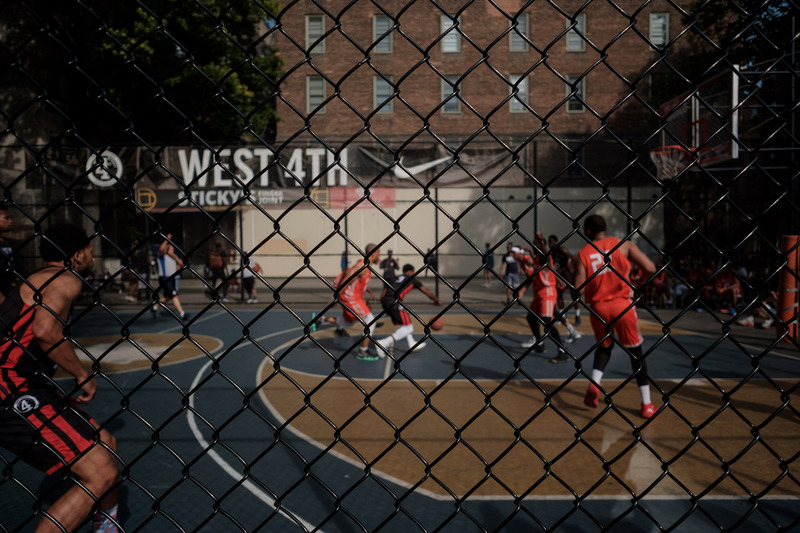 These photos attempt an impression of the play as opposed to a document of it. 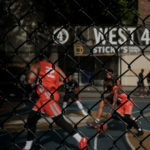 I had a wide lens on my camera when I came up out of the subway and rather than over-jockey for a better view, I opted to use the fence as a kind of screen to mediate the action. 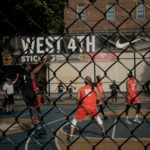 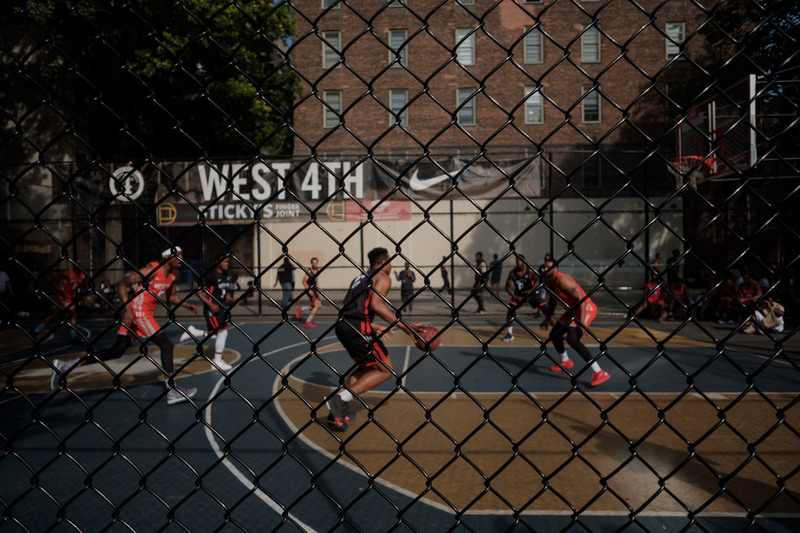 I’m not sure when the W4th courts got sponsorship but the Nike banners don’t look new and so much of the village has gone through similar changes that conspicuous branding seems more a cosmetic than a practical shift. 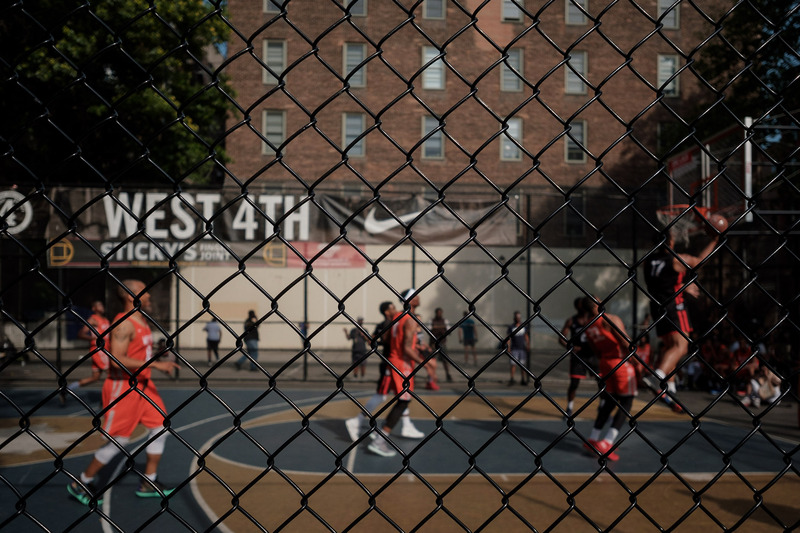 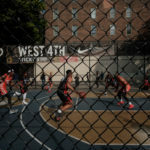 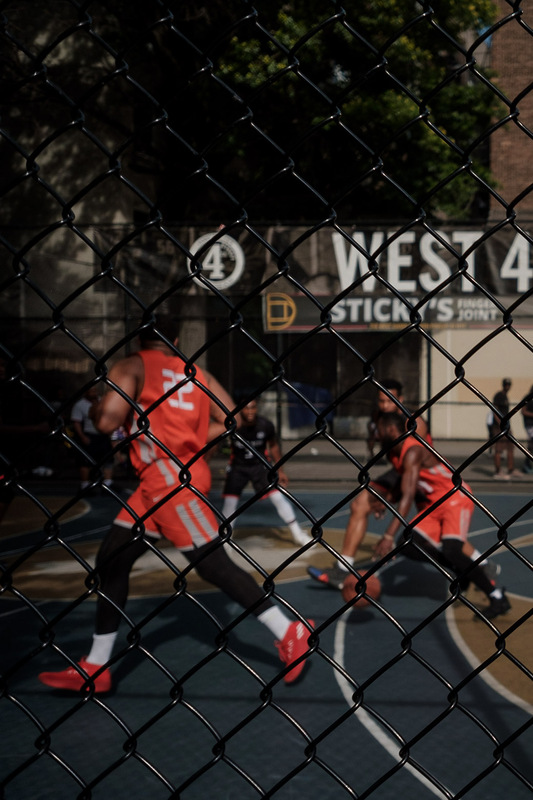 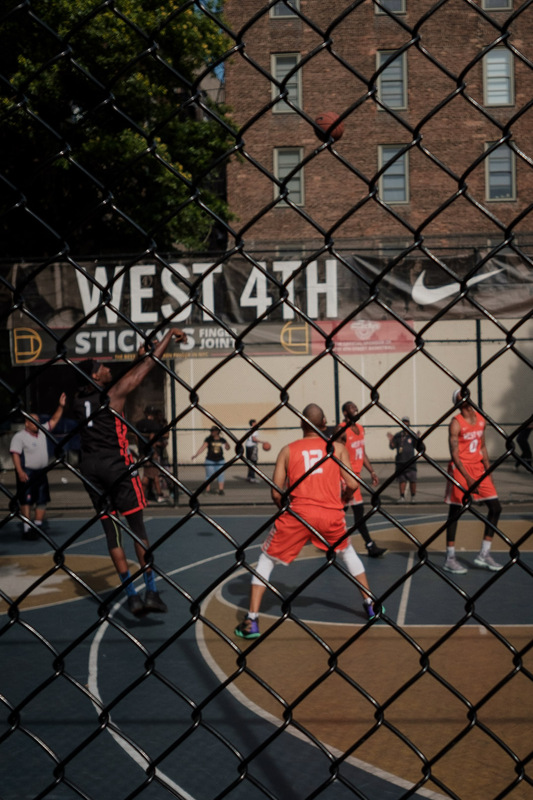 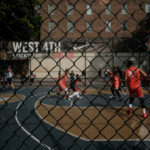 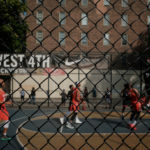 That is, there was plenty of basketball on these courts before Nike got there.